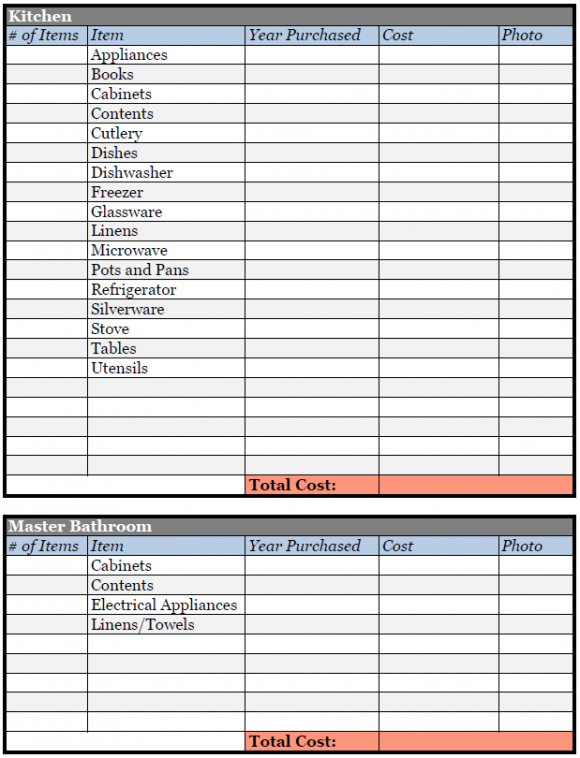 If a catastrophic event were to take place or items were stolen from your house, the insurance company would expect for you to furnish a detailed list of all of the belongings requested to be replaced. 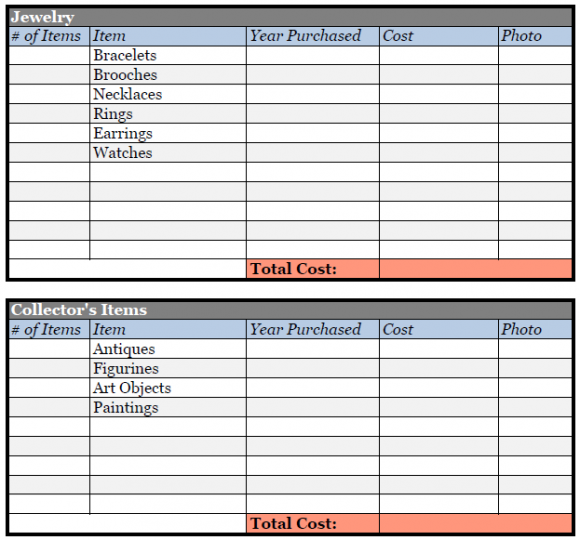 This list would preferably have the brand name, type of item, date purchased, purchase price, and photo of the item. 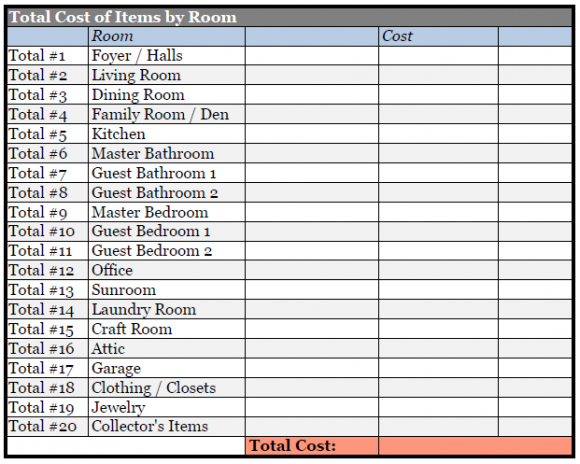 Since many of us like to play the odds, a home inventory is not necessarily on the must-do’s for the weekend. Unfortunately, bad things do happen. Although not completely common, many of us can think of someone who has experienced a traumatic event where they lost a good deal, if not all, of their belongings. A man that I used to work with lived by himself with his dog. In the middle of the night, his dog woke him up mid-sleep. His house was on fire. In a panic, he picked up his dog and ran out of the house. He went back into the house several times, but in his state of duress, he would come out with nothing in hand. His entire house burned to the ground as well as his car and his neighbor’s car. It was devastating. In those moments, our brain’s are not equipped to work at it’s full functionality. Even afterwards, without a list, how can one remember how many sweaters were in the closet? It’s nearly impossible. 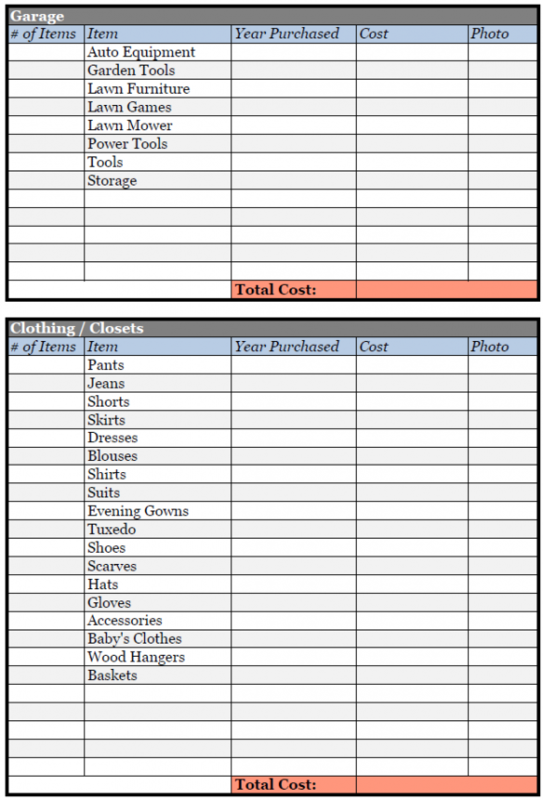 With our new move coming up, it really is the perfect time to sit down with Mr. P and create a home inventory. 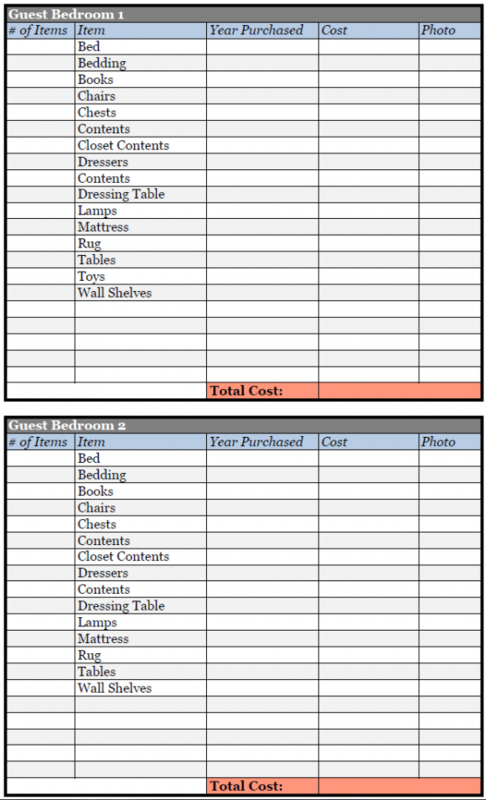 As we decide what to keep, sell, or donate, we can be confident that the list will contain our actual belongings and our best bet for the replacement cost. 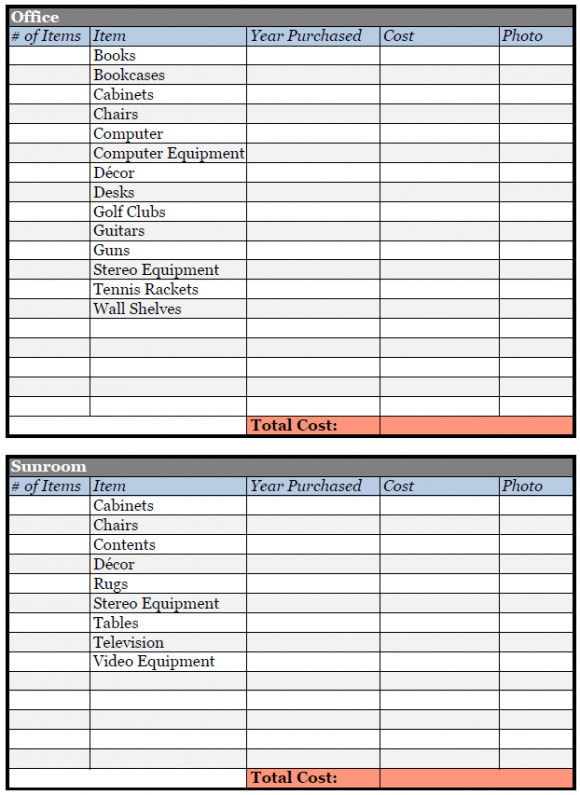 There are different ways that you could create a home inventory, but for ours, we will be breaking down the items by room. 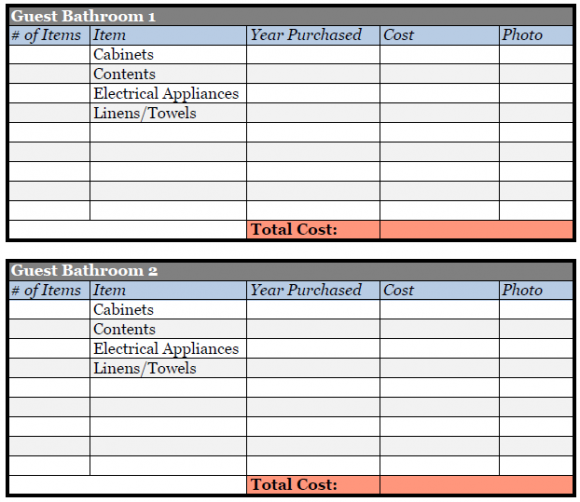 Excel is my program of choice for this kind of task, but any spreadsheet or database program would work. *STP Tip – Once complete, make sure to save the file somewhere safe, such as Dropbox. 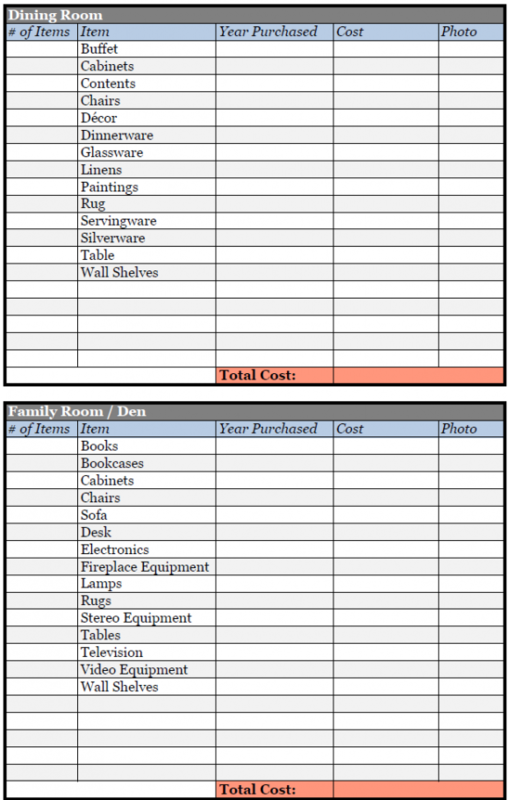 The examples below are what we will be tailoring once we get moved in and the stuff we are not keeping moved out. 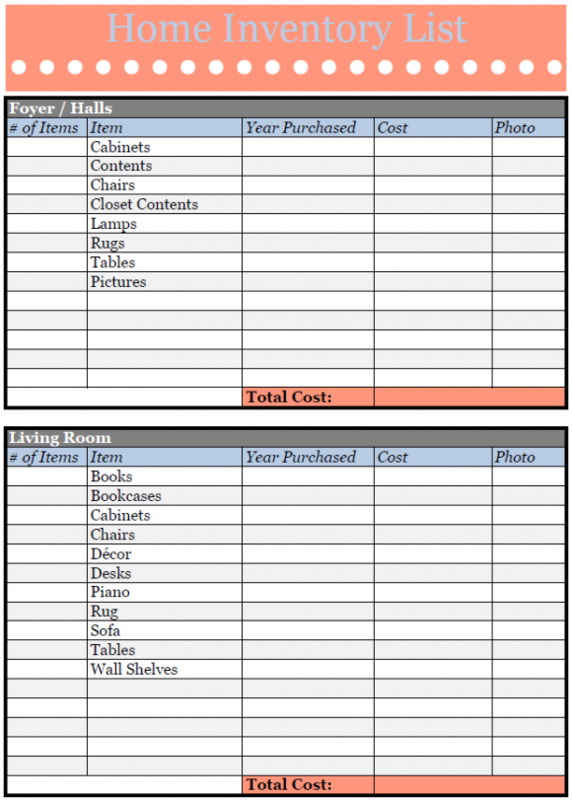 This home inventory template can be printed “as is” and filled in manually or used as a template for your own Excel file. 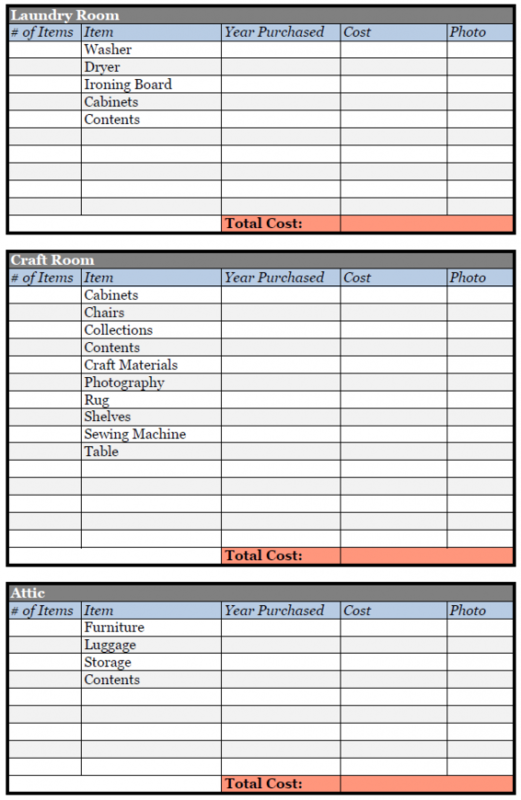 For ours, we will be using Excel. For each photo, it will have a designated name and stored in a folder on Dropbox with this file. 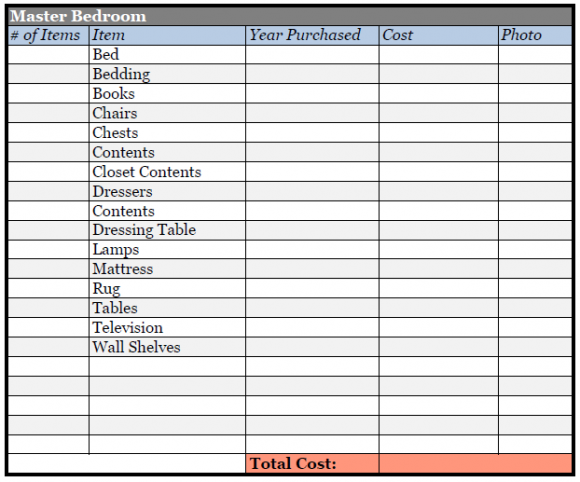 Keep your home safe and create a home inventory list.